You can call me Da for short. A 20-something freelance marketing specialist and a yuccie from the sunny Manila, PH. 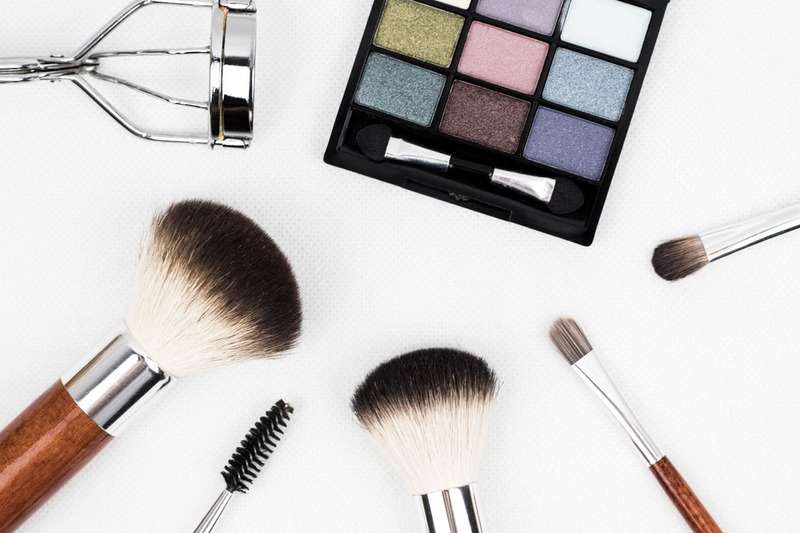 With hundreds of women making names for themselves as beauty bloggers/vloggers, and tons of new and innovative products hitting the shelves every month, there’s no better time in history to be a makeup lover. Makeup is an art form and a skill, and like any art it’s always best to learn from the masters. 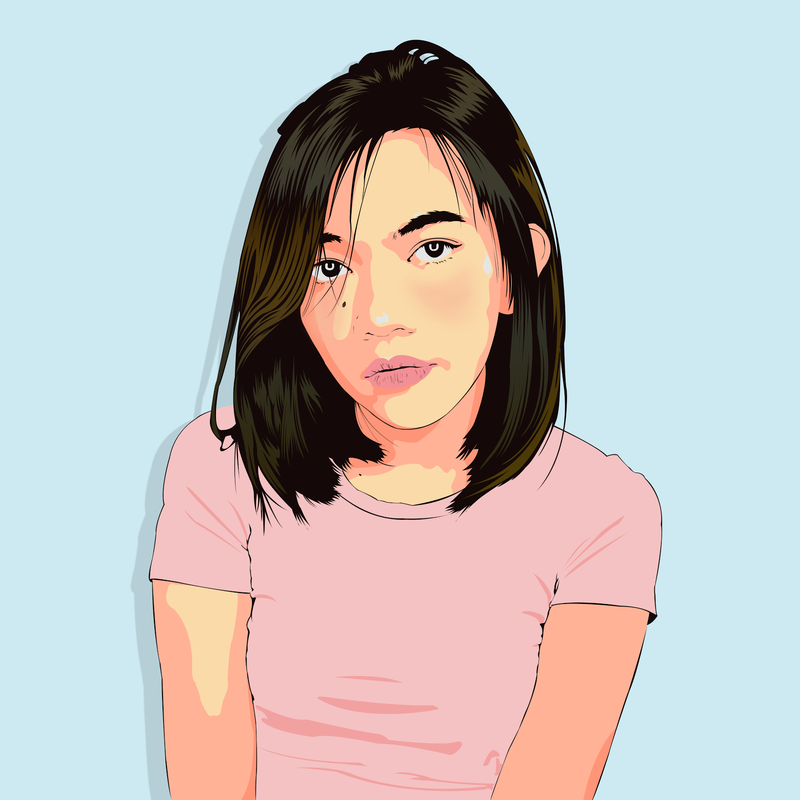 While every woman has her own unique way of “putting on her face,” there’s nothing wrong with taking inspiration from some of the most famous faces in the Philippines. Take a look below at the makeup looks of some of Manila’s leading celebrities, and see if you can pick up a few useful tips along the way. Everyone in the Philippines knows Heart Evangelista, the stunning Chinese-Filipina actress who has been part of some of the most successful teleseryes and films from the year 2000 onwards. Heart’s style is more high fashion, and she’s a familiar face in the audience during Paris and New York fashion weeks. To mimic her soft glam style, go for shimmery highlights and thick black lashes, and don’t forget to put on some blush for that rosy-cheeked look. Take a look at her other makeup looks on her Instagram account here. If there’s ever been a perfect example of a beauty leading the way, that’s Pia Wurtzbach, Miss Universe 2015 and recently awarded UNAIDS Goodwill Ambassador for Asia and the Pacific. Pia’s looks tend to favor strong brows and sun-kissed skin, with key highlighted features being her eyes, cheekbones, and jawline. If you’re aiming to mimic this look, try picking up a good bronzer, some warm-toned highlighter, and stick with earthy tones for your eyeshadow. Check out more of Pia’s makeup looks on her Instagram account here. As one half of one of the most popular love teams in the industry today along with partner Joshua Garcia, Julia Barretto has been a mainstay in Philippine film and television for the last couple of years, with ABS-CBN stating she is seeing new projects coming in left and right. Capture the essence of a young girl in love by mimicking Julia’s bright red matte lipstick and warm, orangey-red eyeshadow. Avoid “overloading” your look by going easy on your brows— just apply some brow gel and let your natural shape do the talking. Check out the rest of her style on her Instagram account here. Heaven Peralejo is an ambassador for Filipino denim wear company BNY Jeans, and has a style that epitomizes the young, modern Filipina perfectly. Heaven’s looks are youthful and light, although she isn’t afraid of glamming it up, so a focus on keeping your skin healthy and supple is important. Go for a more natural look with your brows by brushing them up and outward, with some eyebrow pencil and gel for definition. Keep it light and refreshing with some black mascara, lip and cheek tint, and highlight for a “bare face” look that’s perfect for school and play. Follow Heaven’s other looks on her Instagram account here. Nadine Lustre has taken on nothing but lead roles since her rise to fame, and the young actress is such a lover of makeup that she even has her own makeup line, Lustrous, in partnership with Australian brand BYS. 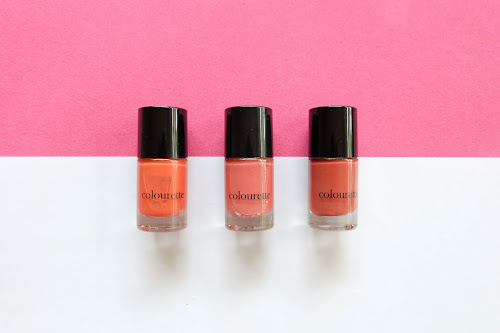 Cop Nadine’s look above by opting for warmer, more natural tones. Go easy on the contour, focusing mostly on your cheekbones and using a natural-looking highlight for the rest of your features. Shine with gold shimmer eyeshadow and coral lip gloss, and finish off with a youthful blush over your cheeks and nose bridge. Take inspiration from Nadine’s other looks on her Instagram account here. 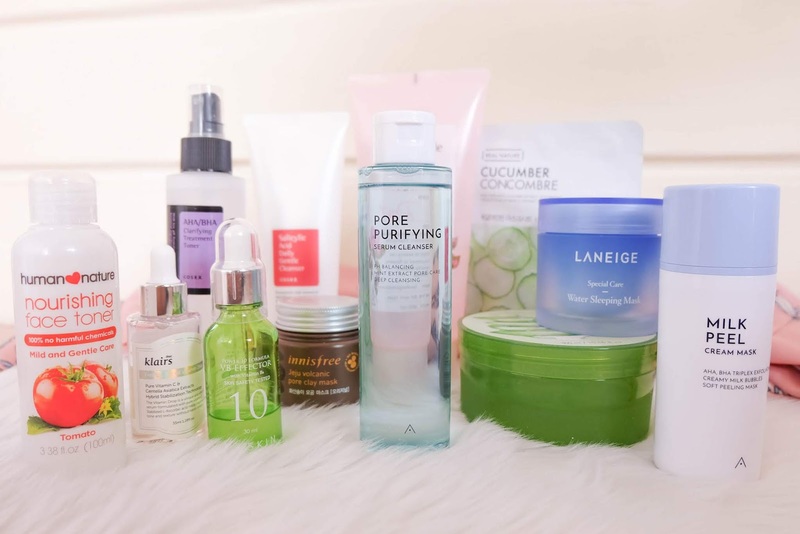 Skincare first, makeup second. That's my beauty mantra for 2019 (and probably for the coming years too). 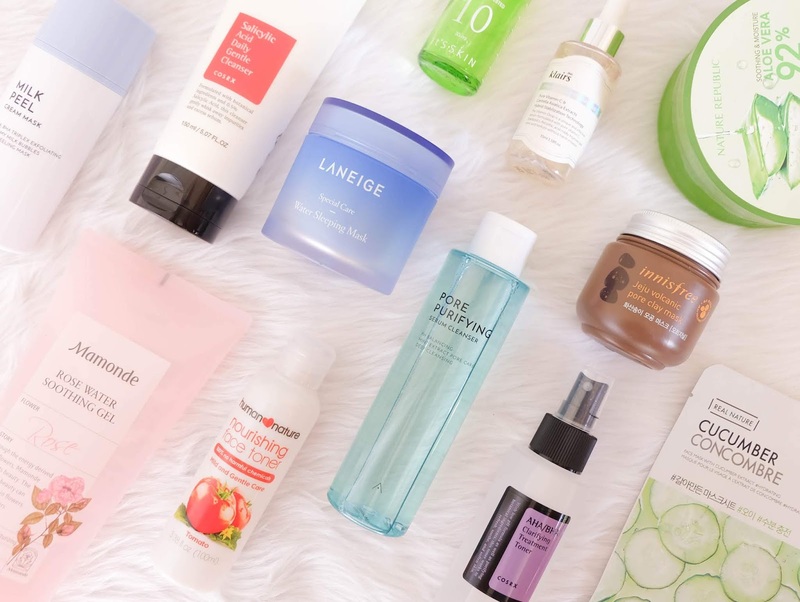 With years of experimenting with different products, I have already found my staples that work great with my skin type/condition, but I've always been open to try new ones from time to time especially when it's from my favorite K-beauty source: Althea. 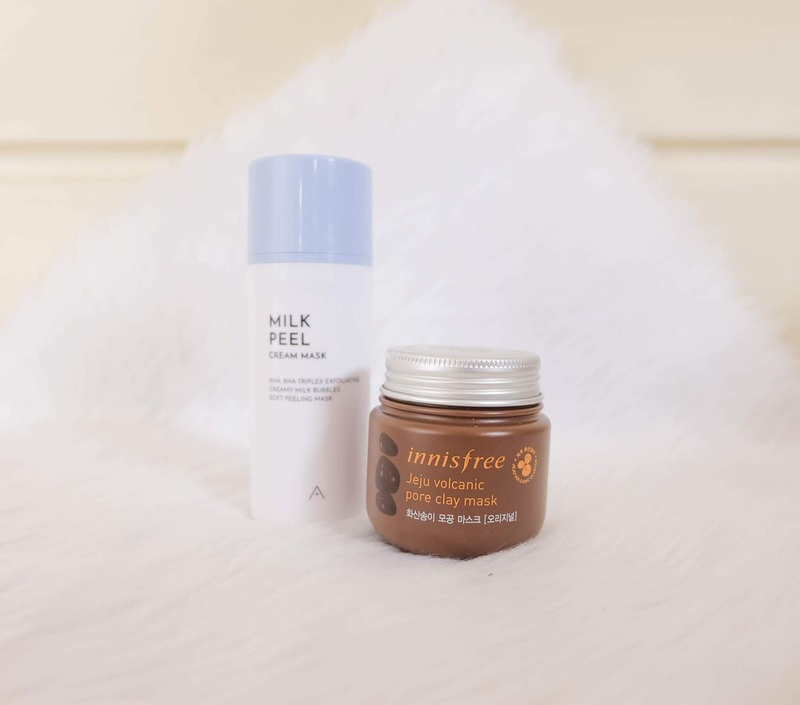 As part of the Beauty Ambassadors Community, we get to have first dibs on their new products before they even hit the market and I was more than excited when the Althea's Pixies sent us their latest Milk Peel Cream Mask to test out and review! 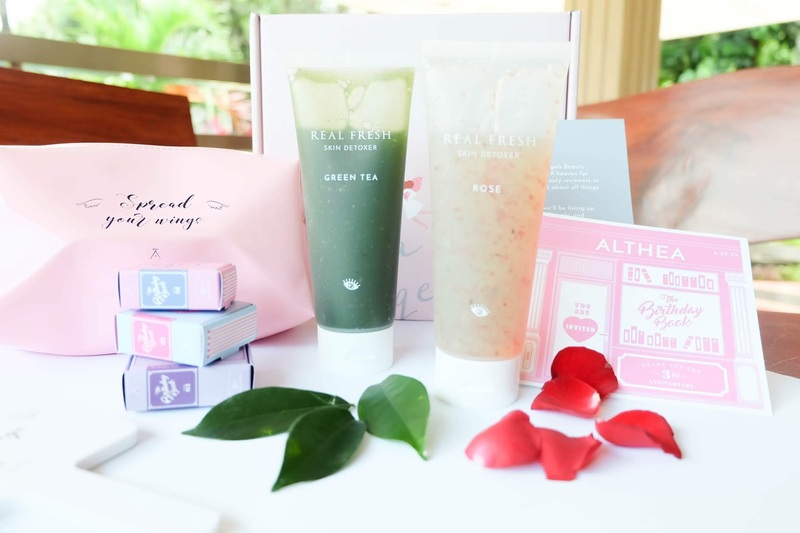 Previous Althea Exclusives such as the Bare Essentials and Petal Velvet lines were made mostly from nature-induced ingredients like lemon, green tea and rose petals, so it's a bit of a fresh air that one of the main ingredients for this product is derived from milk. 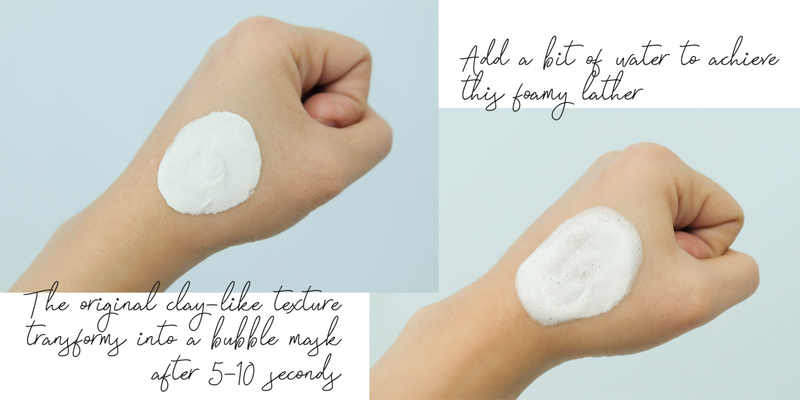 Clay-like texture transforms into a bubble mask. Add a bit of water to create a foamy lather. Dampen the skin and apply an even layer onto the skin, massaging till a rich lather forms. Leave on for 30-60 seconds before rinsing away with warm water. Use only once or twice a week. Combination. Oily on T-zone, dry on U-zone. 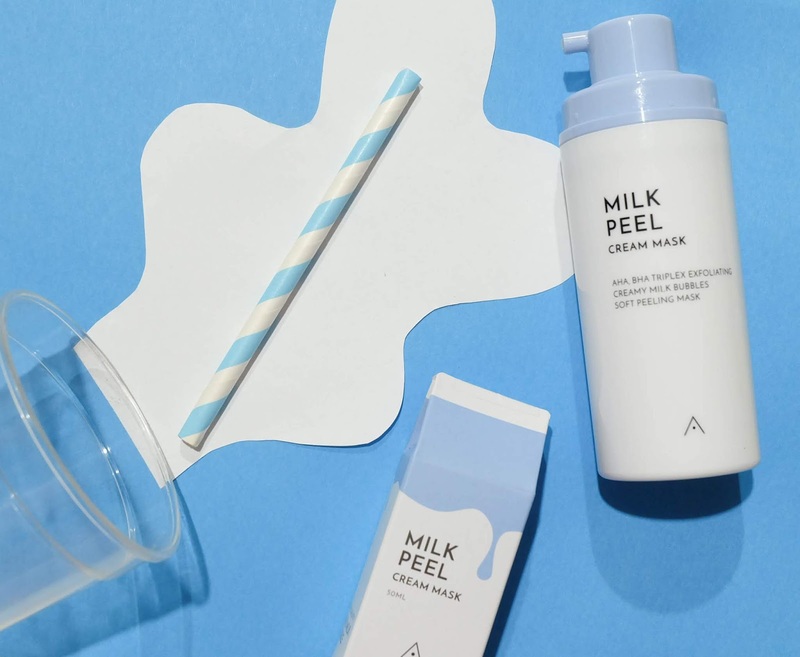 A Milk Peel Cream Mask you say? I admit, at first I was a bit clueless about how this product works, too. The packaging has a pump which neatly dispenses a light gray cream. Upon application, the clay texture transforms into a whipped cream lather and creates little bubble noises (like when opening a soda). The bubbling makes it a little ticklish (don't worry, it's normal) and would "dry" up after some time. I leave it on for about a minute before rinsing. My face becomes instantly plump and fresh. I could feel a little tightness (but not drying), which is a sign that it removed excess sebum and other impurities from my face. It also leaves a light milky/powdery scent which I love. Exfoliating has never been this smooth and fresh! 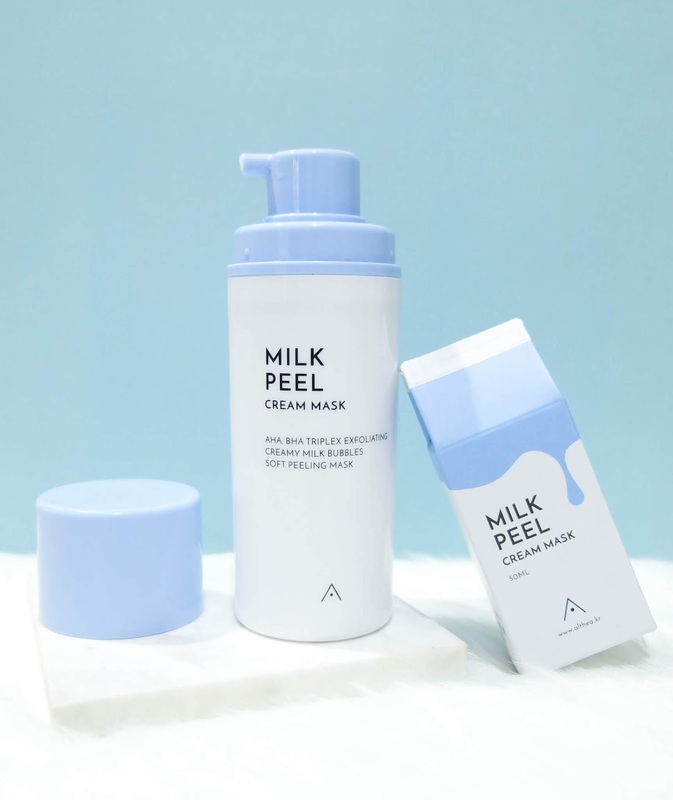 I love how the Althea Milk Peel Cream Mask does not have physical exfoliators like beads and scrubs, because I personally find them a bit too harsh for my skin. This cream wash-off mask gently strips away dead skin cells and excess sebum using AHA and BHA extracts. I've had previous experience with AHA and I could say that it really works as an effective exfoliator and has brightening effects. Even with chemical exfoliators, this product is toned down and mild enough even for those with sensitive skin. Although it's best to do patch test first. It removes dead skin cells with AHA, BHA and Kaolin, but also hydrates and locks in moisture with milk protein extracts. Powdery scent is just enough. Not too strong and overpowering. I actually prefer it over rosy scents from the previous lines. Your skin would instantly feel and smell like a baby! As for the packaging, the pump is really neat and efficient, although the opaque container itself makes it hard to keep track of the amount you have left. 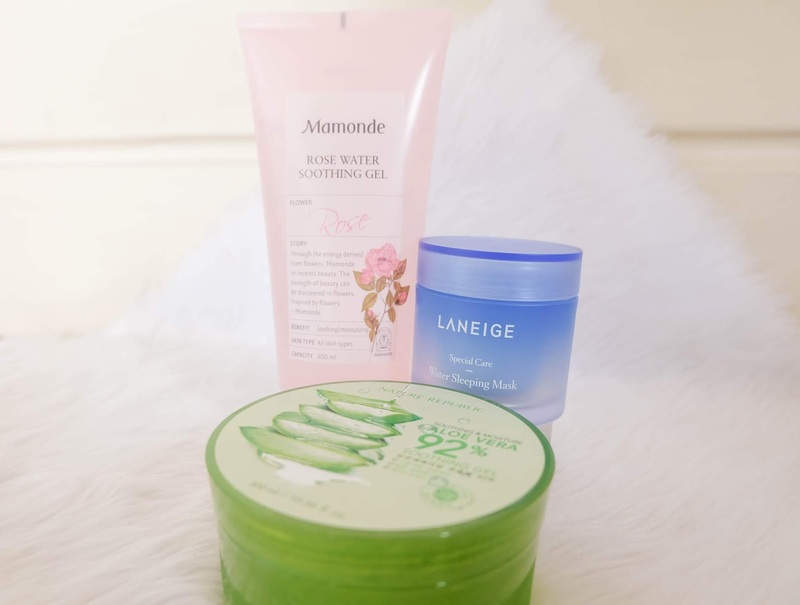 Price point is average compared to other wash-off masks and exfoliators. Disclaimer: This is a sponsored post. All products were sent to me by Althea in exchange of a review. However, all contents and opinions expressed are solely my own, and not, in any way, influenced by the company and the brand. 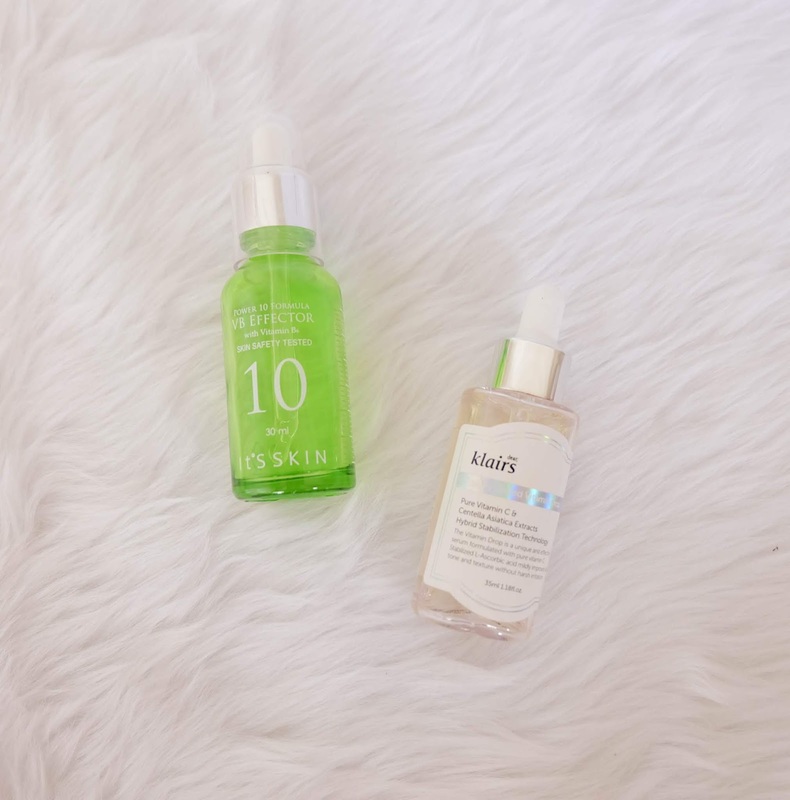 Living in a tropical country like the Philippines, sunscreen definitely seals its place as a top priority when it comes to skincare. All those routines would be basically for nothing if you forget this last and *most crucial* step. But what does it really do and why is it so important? First, let's go back to the basics. The sunlight that reaches us is made up of two types of harmful rays: long wave ultraviolet A (UVA) and short wave ultraviolet B (UVB). UVA rays penetrate our skin deeply causing permanent skin aging and Persistent Pigment Darkening (PPD), while the UVB affects the outermost layers causing sunburns. What are SPF and PA ratings? SPF or sun protection factor indicates the ability of a product to protect our skin from the harmful UVB rays. SPF rating generally measures the amount of time it would take for a person's skin to get burnt. Without a sunblock/sunscreen, it takes just around 10 to 15 minutes upon exposure, so for example you apply a product that has an SPF15, it would then take 15 times longer to take effect as a protection. That's around 150 more minutes or 2.5 hours of guilt-free exposure to the sun. On the other hand, the PA (with plus signs) indicates the protection grade of UVA rays. Meaning, the higher SPF and more plus signs, the better sun shield! 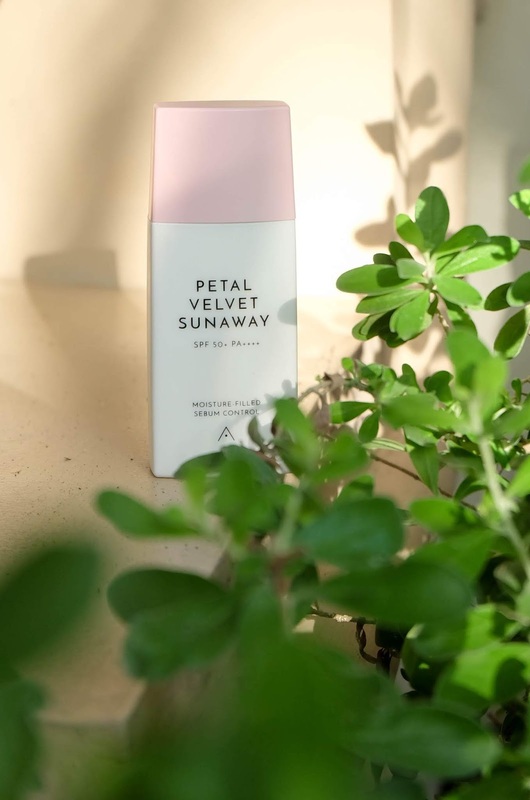 In this case, the Petal Velvet Sunaway has SPF50 which prolongs your sun protection for up to 500 minutes (or roughly 8 hours), and a PA++++ which is the highest UVA protection. Perfect for long-wearing and all-day sun shield! How to Use: Shake well. Then, evenly apply a generous layer onto the face in the morning or at least 20 minutes before sun exposure. Although white in color, the Petal Velvet Sunaway remains invisible and doesn't leave a cast on the skin. At first, I was a bit iffy with the watery consistency because I was used to thick, cream-type sunscreens, but apparently, that was the best part! 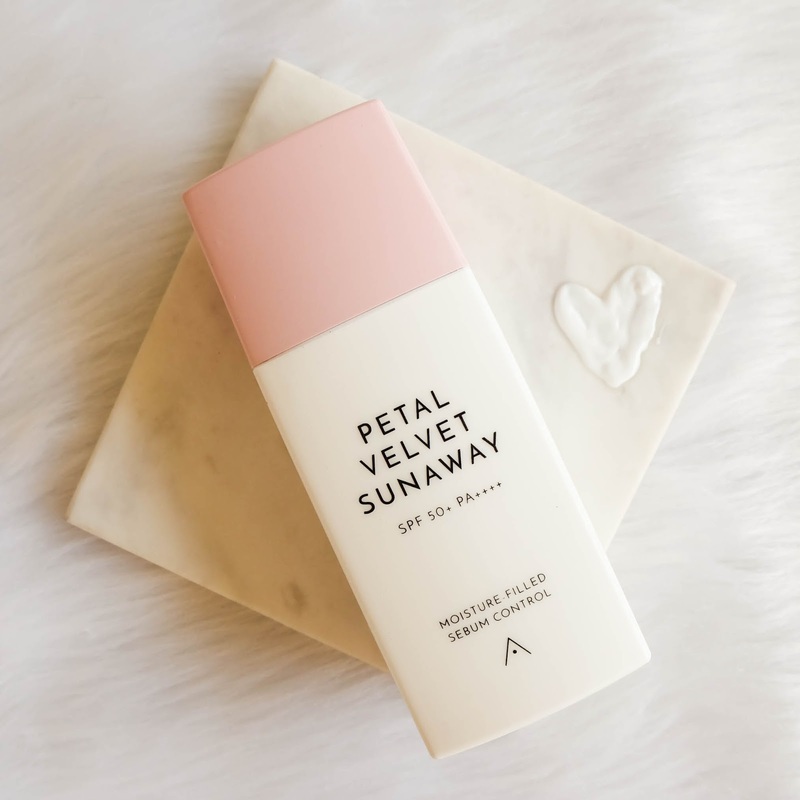 Compared to other sunscreens I've used, the Petal Velvet Sunaway is the most lightweight. It doesn't produce a white cast, and leaves a velvety matte finish, making a good base for daily use and even under a make-up. It is best applied in the morning, right after moisturizing. I usually let it sit for about 2-3 minutes to let the product sink in before proceeding with my daily makeup routine. Despite being lightweight on the face, this product doesn't fall short on its other claims. 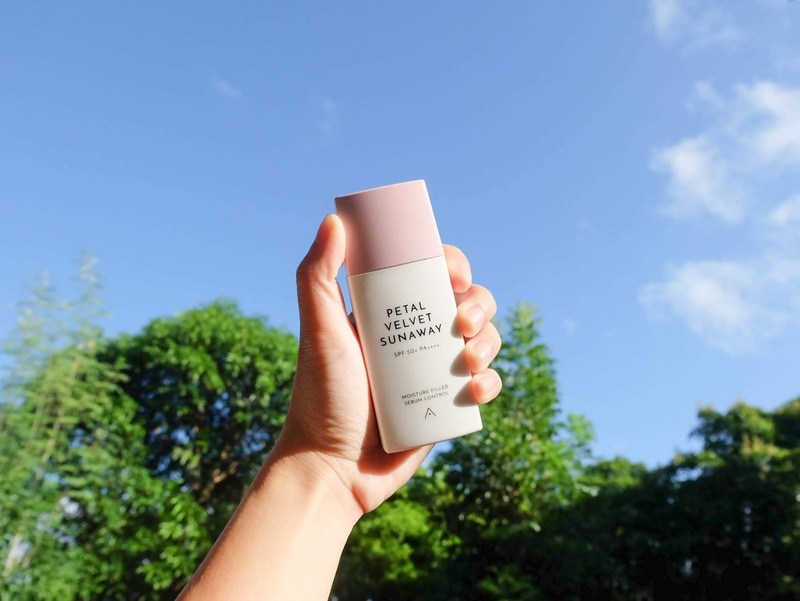 The main focus which is sun protection ranks higher than other brands, and more plus points for its sebum-controlling and hydrating properties. 6/10 would recommend to people with normal/combination skin like me. 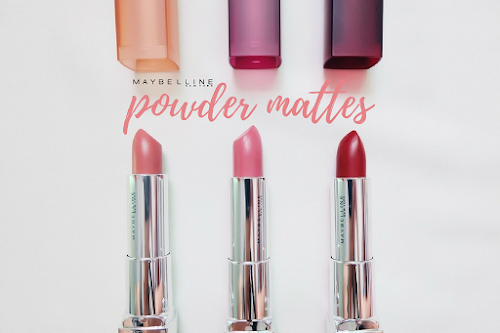 I really love the powder-like finish and strong sun protection capabilities making it perfect for both daily and heavy uses. However, because of the velvet finish, it might be a bit drying for people with already dry skin, so back it up with moisturizer before using. The rosy scent might also be a hit or miss for some. Personally, I don't mind, but if there would be a variant with a more subtle or no scent at all, that would be better. For the price point, it's pretty decent since it's on average with other sunscreens. Overall, this is the most efficient, invisible, and lightweight sunscreen I've used. However, I'd personally prefer BB creams, cushions or foundation with similar SPF and PA ratings for its coverage. Disclaimer: Products were sent to me as part of Althea Angels Program. All photos and opinions are entirely my own and not, in any way, influenced by the company and the brand. When Josh & I started dating, we had this scrapbook of some sort where we placed our photos, wrote our plans, our bucket lists and compiled our movie tickets. Yeah, laugh all you want because I know it's sooooo highschool and very cheesy. HAHA. But I still think it's cute knowing we'd have something to look back into when we're older (or uglycry if ever we break up, lol). 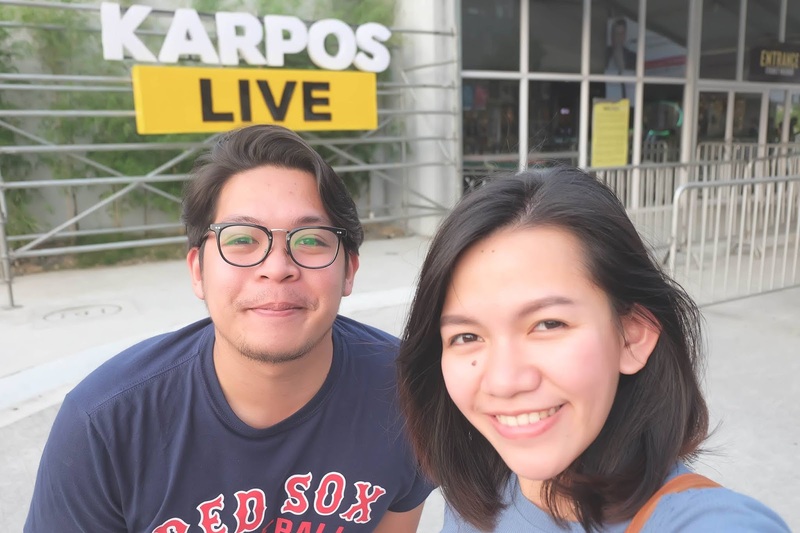 Anyway, our bucket list included attending a concert together, and we almost did when Ed Sheeran visited the Philippines. I was a huge fan, but our budget was a little steep back then, and I didn't think we're ready to splurge a huge amount for a one-night-only event. And besides, the concert location and date was also unfavorable for the both of us so we had to pass. 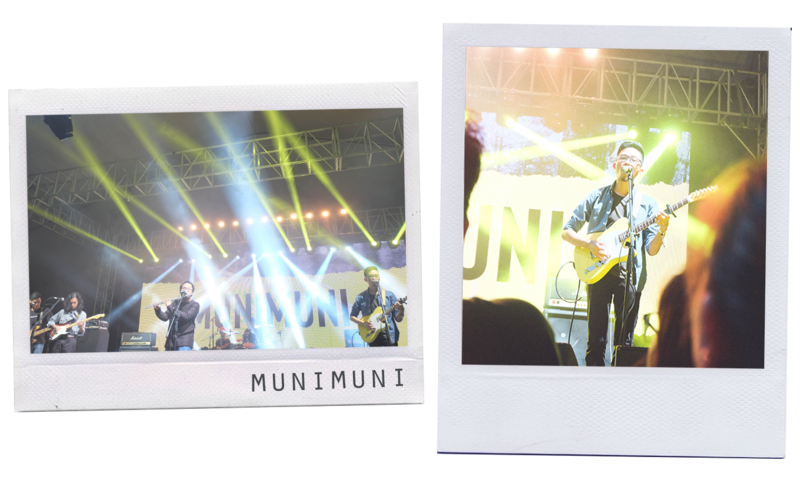 Munimuni was the opening act for the concert. 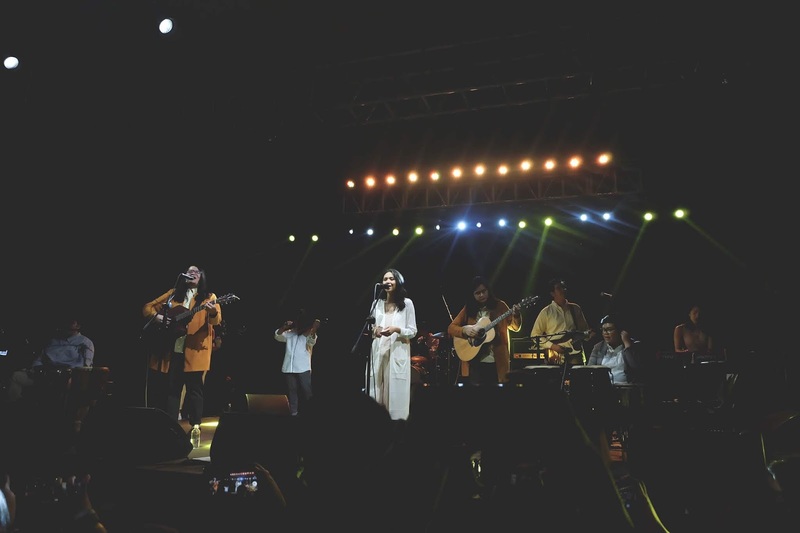 I came across them a couple of times through Spotify, but I appreciated this Indie Folk band even more upon hearing them perform live. 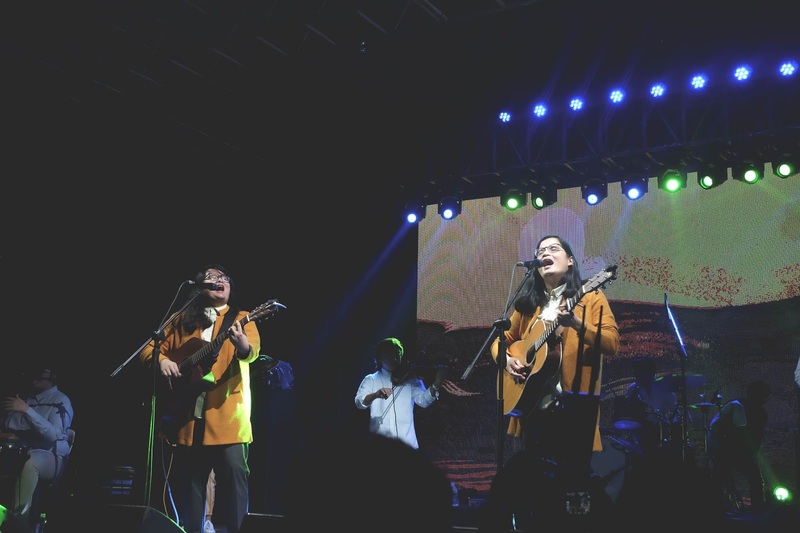 Their Makata Pop performance was the soulful marriage of music and poetry that will surely hit through all your weakest spots. Ever wondered how the angels would sound? 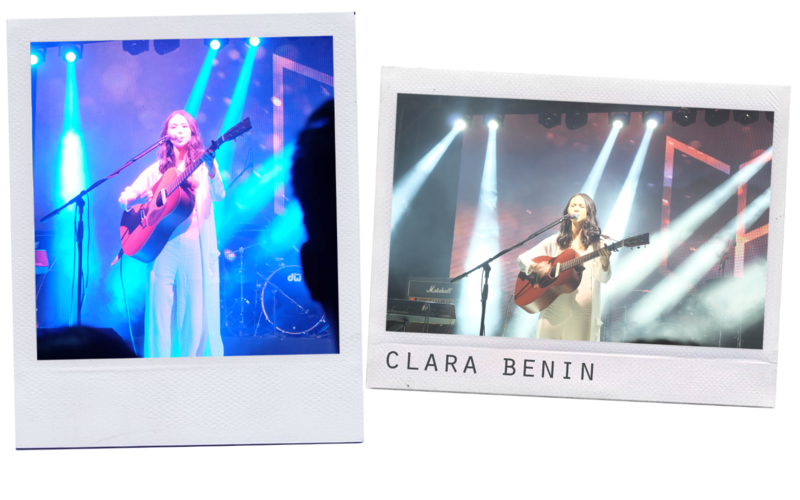 Clara Benin might be it. Her music was so pure, serene and truly heaven-sent. 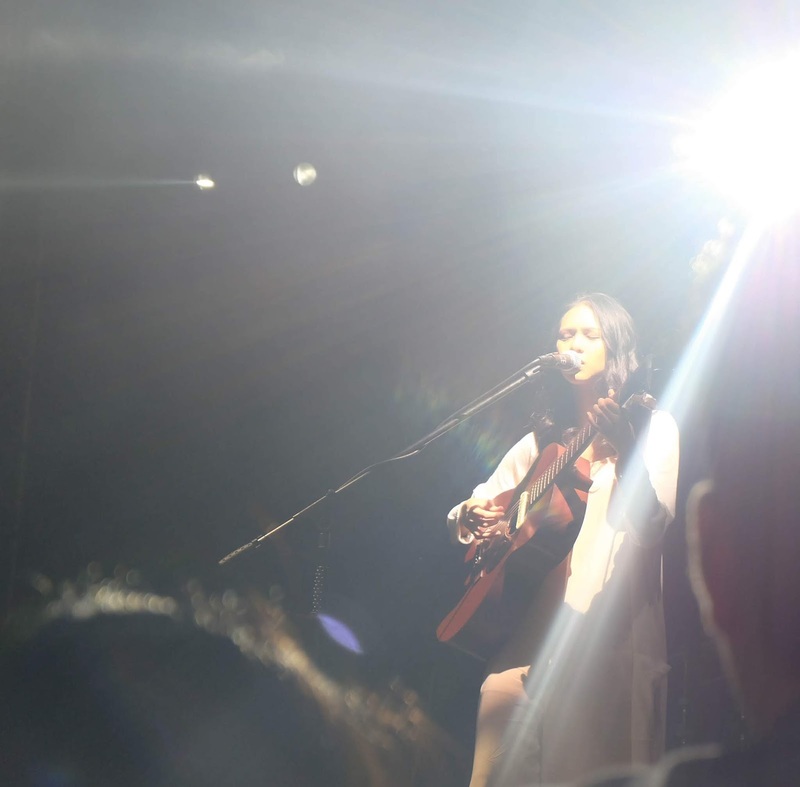 All of us were in awe as we watch her strum and sing along with his Dad, Joey Benin, who is apparently a former member of Side A and the songwriter of "Forevermore". Talent really does run in their blood, I guess. 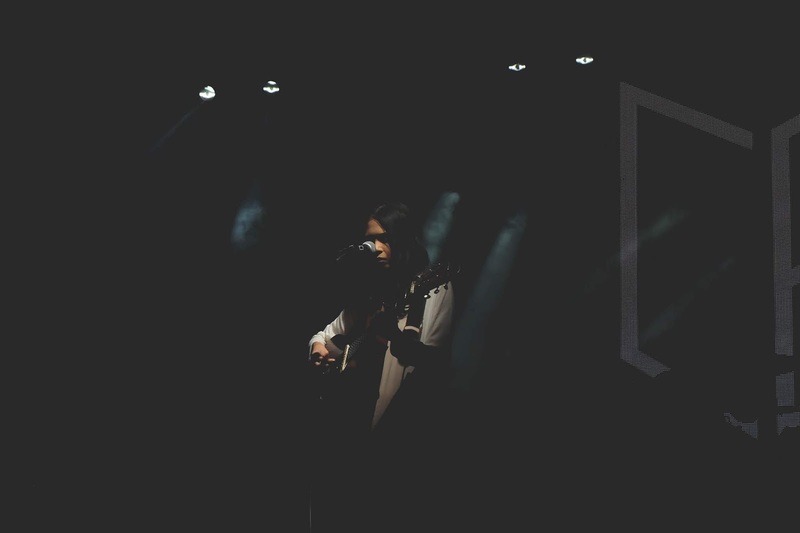 Clara Benin sang a couple of fresh tracks as well, and even had a creative dance interpretation while she sang Riverchild. Tbh, I only know a couple of songs, but it would be so hard not to love her and her angelic voice. My favorite of all-time would be Parallel Universe. 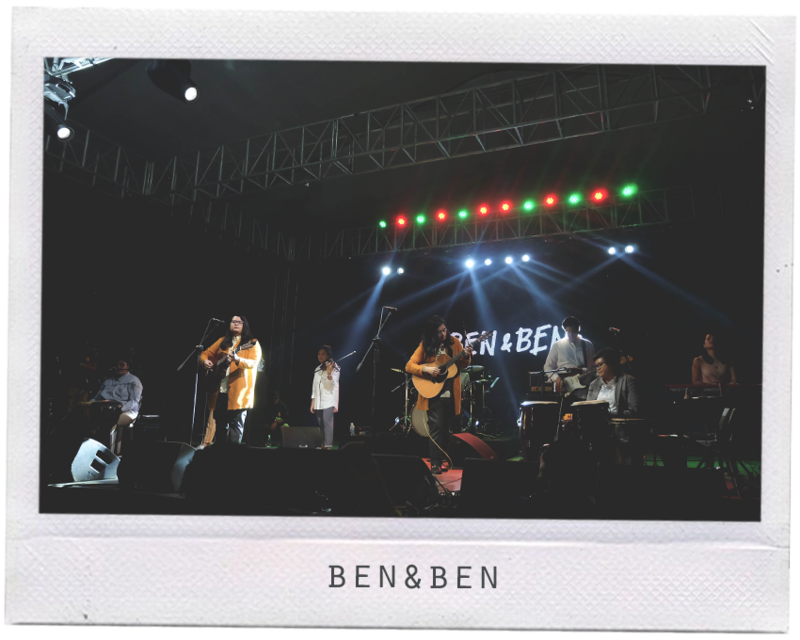 And now, the best part: ninety minutes of Ben&Ben! They revealed that this was their longest set to date, so of course we were more than thrilled to make the most out of this concert with their music. 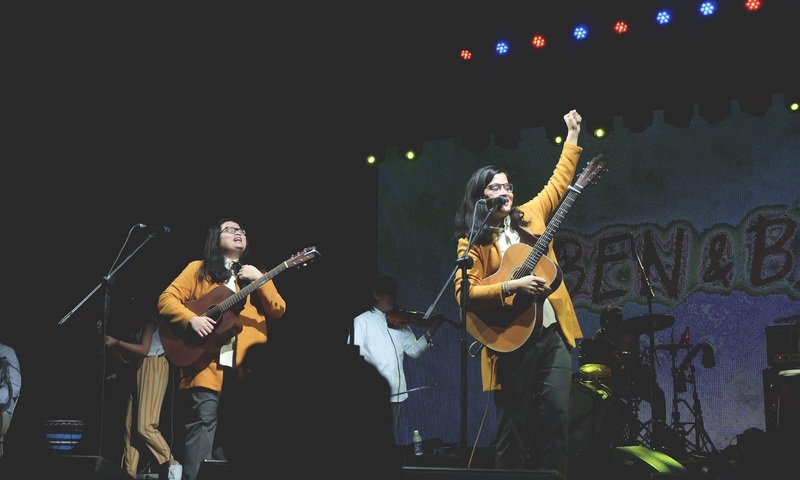 Ben&Ben performed some fresh hits like Balik-balikan, a song they released the next day with Sam Concepcion for Coke Studio, Ours, Branches, Mitsa and Mahiwaga. They also played a few unreleased tracks like Fall and Godsent, which I swear literally made me tear up. Studio versions soon please! 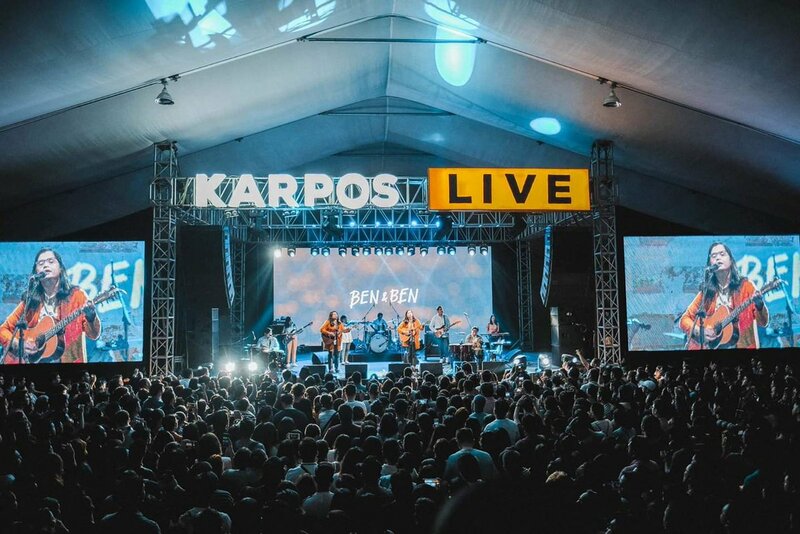 Towards the end of the show, Ben&Ben together with Clara Benin performed a cover of Sugarfree's Burnout. It was a surreal experience. I am really happy that this was my first legit concert experience with Josh. 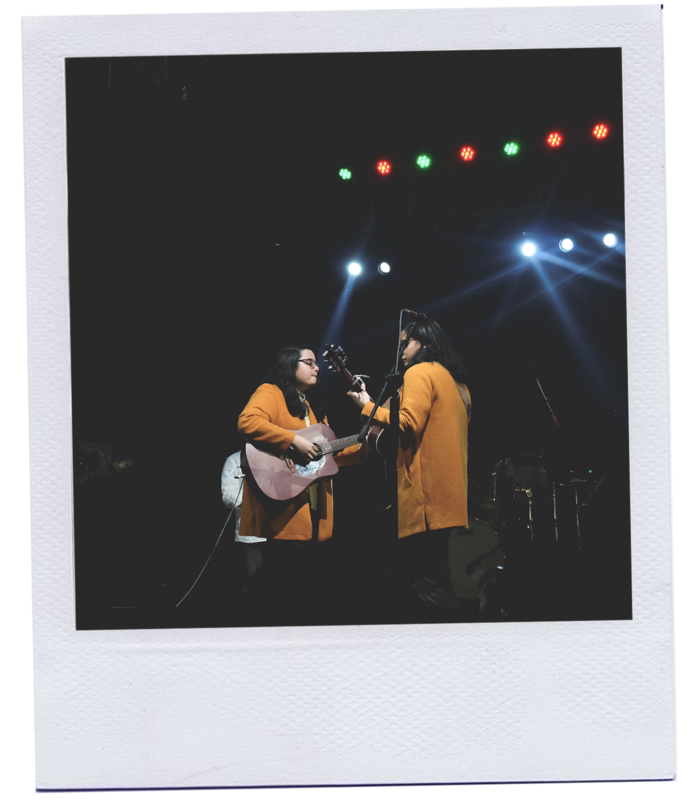 We were dancing, jumping up and down, and singing our hearts out while they played our favorite tracks, and made us stop and stare at each other during their most heartfelt songs. 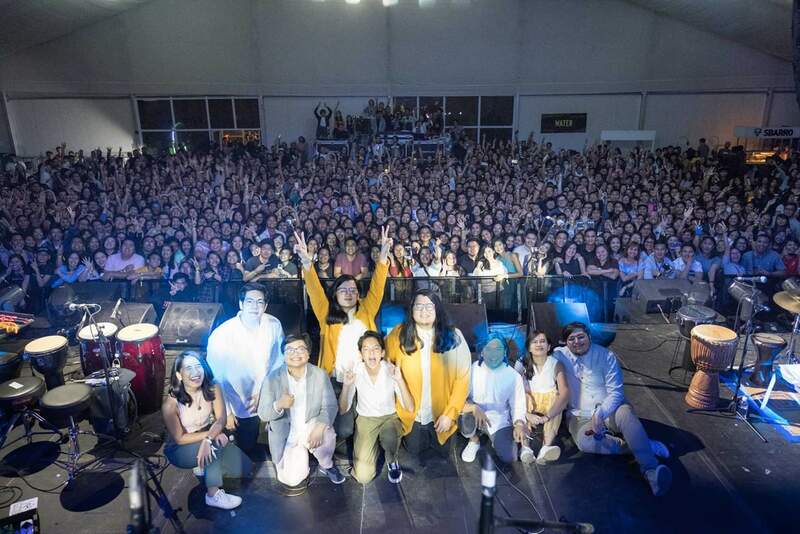 To cap it all off, here's our group photo with Ben&Ben at the Vertis North Tent. Yep, we're in there somewhere if you zoom it in. Too lazy to go through all the 10-step skincare routine everyone's been raving about since last year? 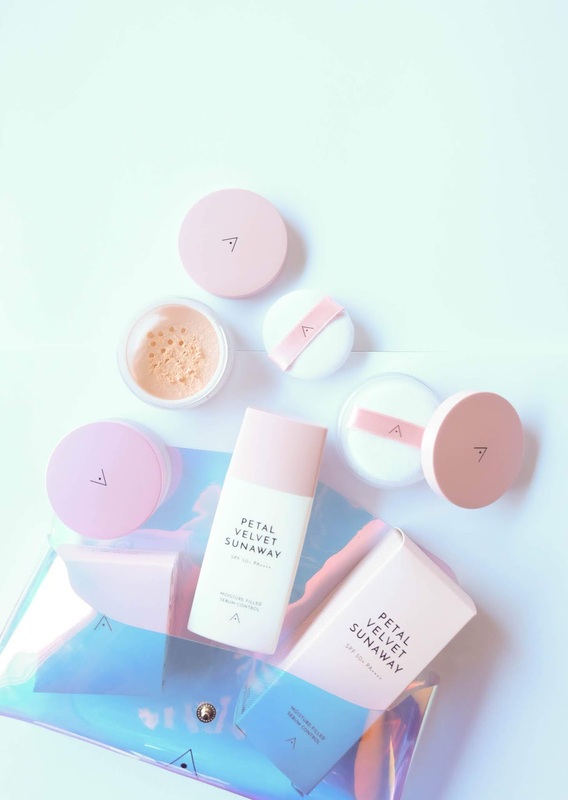 For Althea's 3rd birthday, our favorite Kbeauty source paired up with the biggest Korean Beauty TV show, Get It Beauty, and launched a 2-in-1 product to shorten the process without compromising the proper care your skin needs. 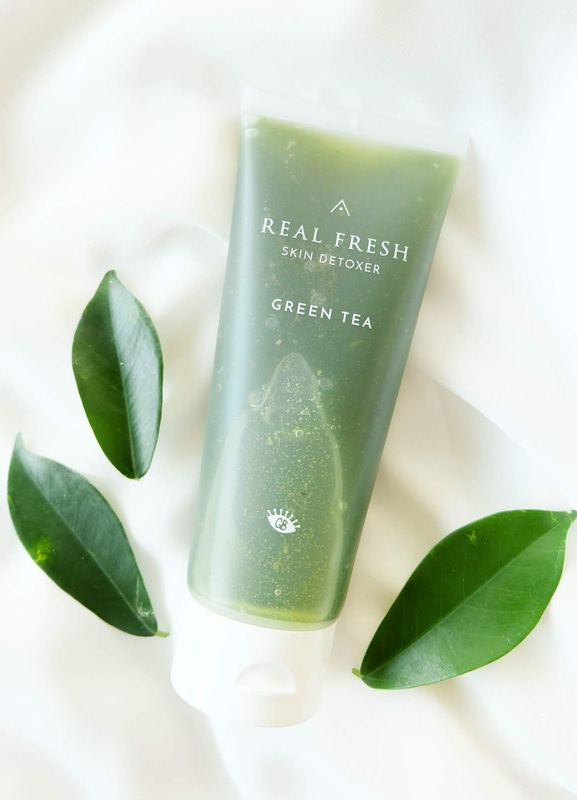 The Althea Korea X Get It Beauty Real Fresh Skin Detoxer is a dual-purpose mask and cleanser that targets specific skincare concerns. It comes in 2 variants: Rose and Green Tea. Both are made with naturally fresh and premium ingredients that helps the skin retain its freshness and vitality. Lather a generous amount on your dry skin and leave on for about 10-seconds. Then add a bit of water and gently massage in circular motions before finally rinsing it off. *Take note of the opening date on the back of the tube. *Store in a cool, dry place, away from direct sunlight. 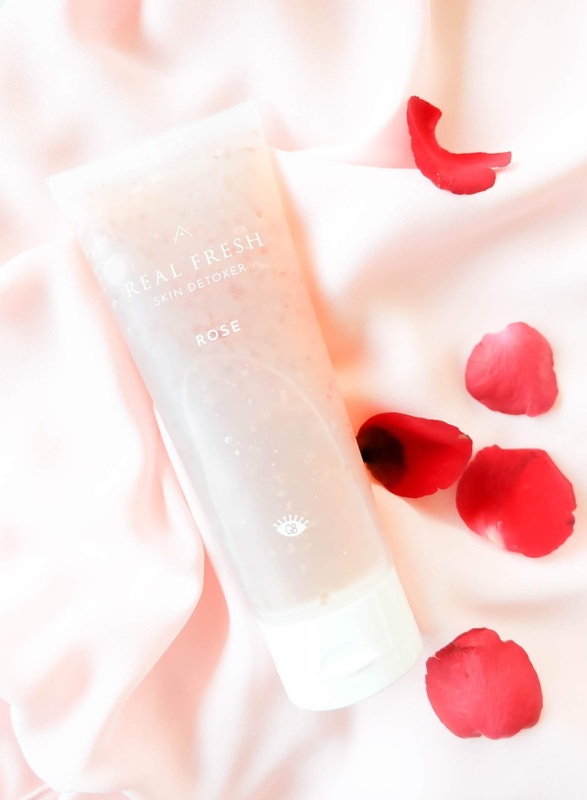 The products contain real rose petals and green tea leaves which may change color over time. The natural discoloration will not affect its product quality and function and remains safe to use. Use in the morning to help balance the skin's natural pH level and protect it. This evens out the skin, leaving you with a smooth texture for flawless makeup application. Use in the evening to boost the skin's natural regeneration process at night when the skin cells are most active. 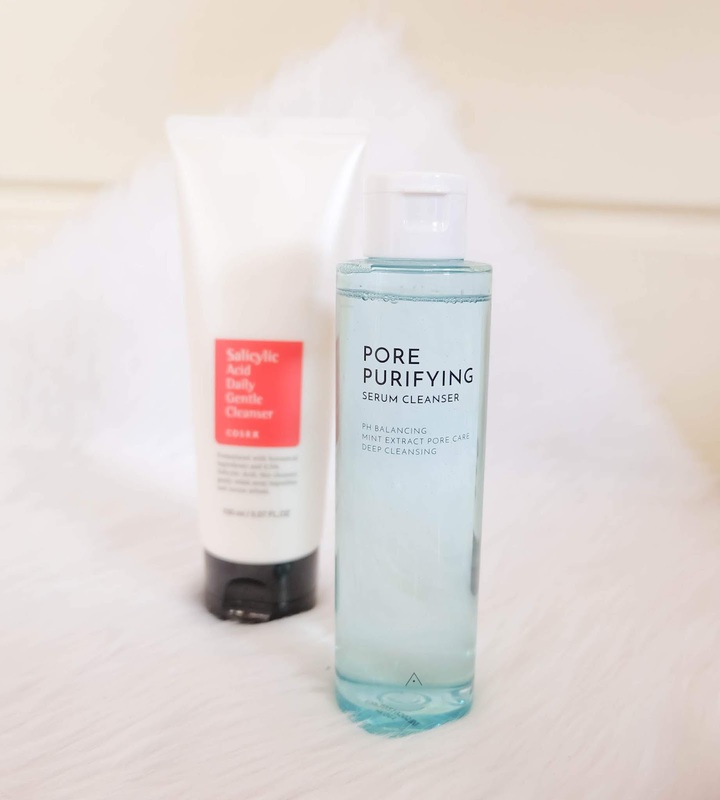 This clears out impurities, leaving your skin hydrated and well-rested. I've been using these duo for more than a month now, and personally, I think it works better on people with normal-oily skin type. The product tends to dry out your skin when you leave it on for more than 10 seconds (which is a plus for me since my skin is really oily). Religiously follow the instructions to achieve desired results. The Rose variant instantly plumps up my skin in the morning, although I find it a bit stronger than the other one. 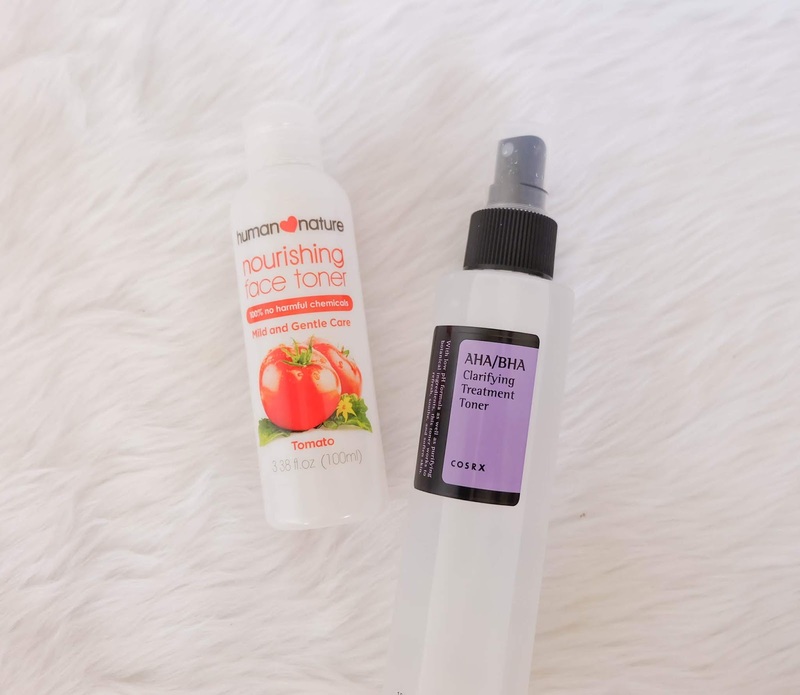 You may feel a little tightness after using the product, so follow it up with your usual toner and cream. The Green Tea variant is really soothing. The scent itself is calming and relaxing, which makes it perfect as a detoxifier on your night skincare routine. 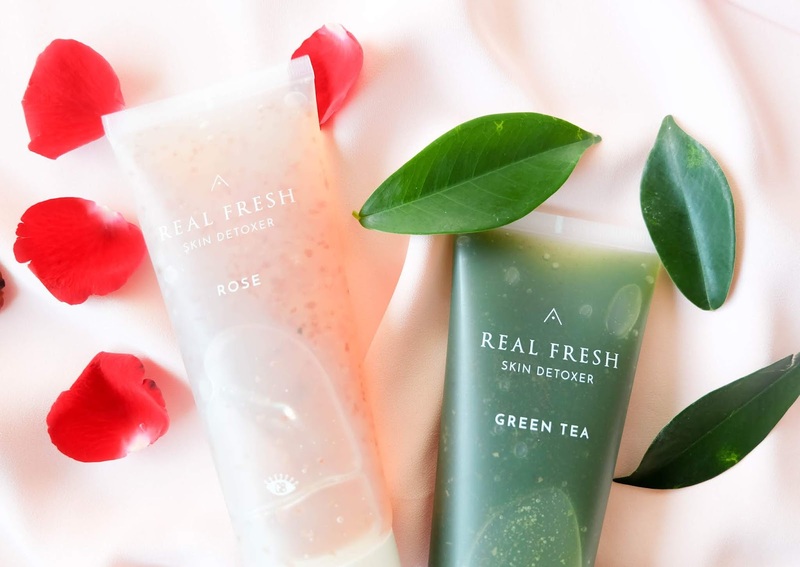 Since the detox duo uses fresh ingredients like Rose and Green Tea, discoloration after some time is normal. However, it is best to finish the product probably within 3 months to attain the product's effectivity at its best. Price is pretty steep for a cleanser, but since you're getting a mask and a cleanser in one go, I say it's worth it. 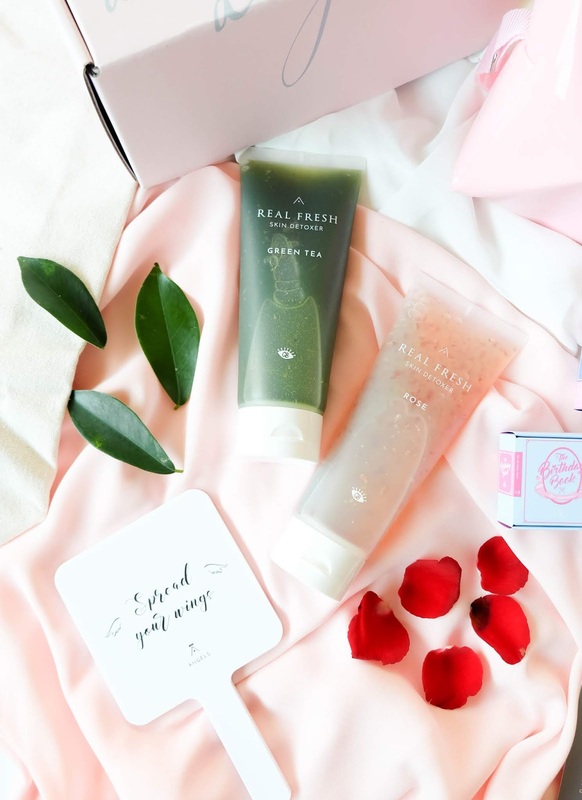 Real Fresh Skin Detoxers retail at Php550 each, but you can get them as a set at 10% OFF + free shipping on all Althea Exclusives today for only Php990 (https://ph.althea.kr/real-fresh-skin-detoxer-set). 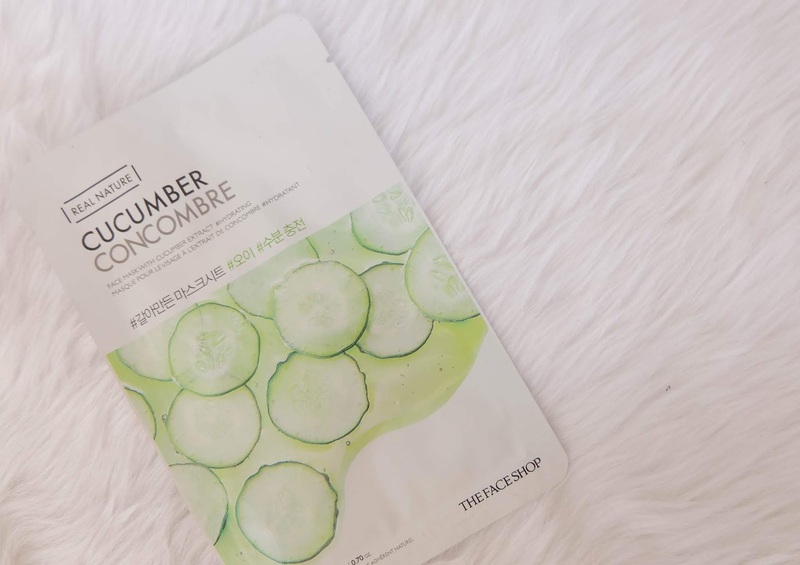 Watch as EXID's @jeonghwa_0508 tests out these skin detoxers! Disclaimer: Products were sent to me as part of Althea Angels Program. All photos and opinions are entirely my own and not, in any way, influenced by the company and the brand.